Unique, exciting, and creative, this book truly tells the real meaning of Christmas like no other. 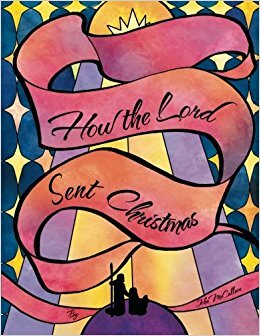 In “How the Lord Sent Christmas,” the author brings a fresh and unique retelling of Jesus’ nativity story. Readers will discover a creative, imaginative, and poetic narration of the most wonderful story that tells the true meaning of Christmas. John McCallum enjoys finding ways to retell Jesus’ story of nativity to the public. His creative retelling is his unique way of reminding the truest reason why Christmas is being celebrated. Not only that, he wishes that his book will become a great way for readers to share His inspiring and beautiful story to other people regardless of their beliefs. Filled with wonder and excitement, “How the Lord Sent Christmas” is a creative and imaginative narration of Jesus’ birth. Inspired by the likes of Dr. Seuss’s writing, this book is narrated in a poetic way that will indeed capture readers of all ages. Along with beautifully illustrated pages, McCallum tells the story in a fresh and delightful way that will enthrall and surprise each one. Unique, exciting, and creative, this book truly tells the real meaning of Christmas like no other. As the most wonderful time of the year draws closer, McCallum is looking forward to sharing this well-loved story in a fresh way to a bigger audience. “How the Lord Sent Christmas” joins the upcoming 2018 Miami Book Fair International. Happening on November 11-18, 2018, book lovers and literary fans alike will surely be of attendance. Therefore, it’s definitely an event to look out for! John McCallum is pastor of First Baptist Church in Hot Springs, Arkansas, parent of two, and grandfather of five, who enjoys finding new ways to tell the old story.